Like a ball of goo, I have watched the life of Grey Goo, a new real-time strategy game from developer Petroglyph, expand with enthusiasm, begin rolling, and slowly but surely lose mass as it turns into a tiny goo-ball that no one really notices anymore. But the goo-ball is still a decent goo-ball! Sure it's missing a big part of what made it so appealing in the first place, but it's not like it disappeared completely. Anyway, all I'm trying to say here is watch where you step. First of all, the cutscenes in this game are gorgeous. Right from the beginning the game hooks the player with its visuals. The opening cutscene is guaranteed to bring most players right in to the plot, however whether or not they care to stay is another issue. Grey Goo's plot revolves around the three factions, Beta, Humans, and Goo, fighting for control of the planet Ecosystem 9. And so they fight. 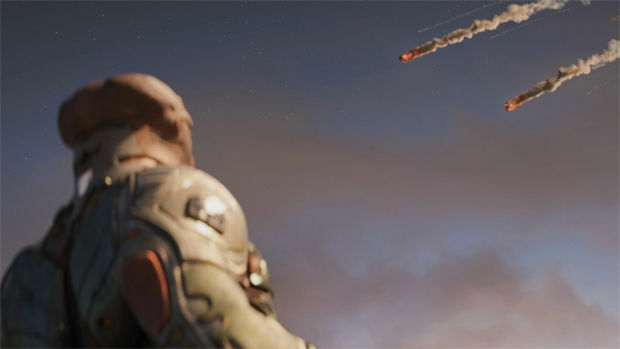 The campaign would be rather lackluster if not for the cutscenes to keep the player interested. The difficulty can be adjusted for each mission, so if a mission is too difficult, players can drop the difficulty down a level when needed. Mission types can be varied, but tend to not stray far from destroying the enemy or defending an area. The campaign does give a relatively stress-free environment to play with the units and experiment, at least. Missions generally last between 30-60 minutes, depending on playstyle and the difficulty selected. Some missions are incredibly repetitive, which is why I recommend playing on Easy or Normal difficulty and just getting through to the cutscenes and messing around with the units. There are fifteen missions total, with five dedicated to each race. While the cutscenes are absolutely stunning, the campaign unfortunately ends with a cliffhanger, perfectly setting the game up for a sequel or an expansion (my guess would be on the latter). It is disappointing to say the least, especially since the cliffhanger it uses is so clichéd in nature. The inherent problem is that logically, everyone will want to play as the Goo. They are by far the most mechanically interesting race in the game, the most aesthetically pleasing, and the game is named after them. 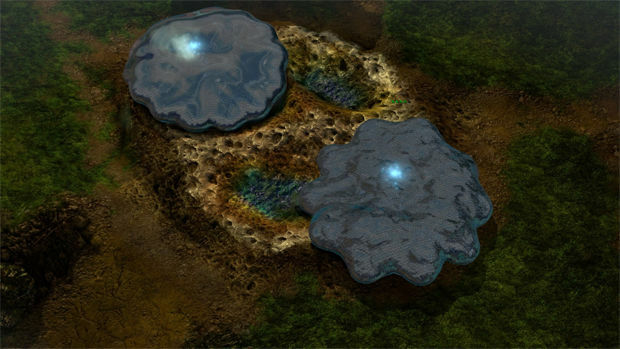 However, while the player can jump straight into the Goo in any skirmish, the Goo campaign, which helps teach players about the mechanics and strategies, is locked behind two other campaigns. Luckily there is an in-game encyclopedia to help players understand what units do and how each race works. Matches focus around gathering resources, building armies, and then destroying the opponents. There is only one resource, called "catalyst." Catalyst exists in certain areas around the map and needs to have a structure on top of it to harvest. The Beta and Human races place Refineries down with Extractors over resource areas, while the Goo has their Mother Goo unit hunkered down on top of them. There are no "worker units," so resource harvesting is more of a "set it and forget it" situation. Just don't leave your Refineries/Mother Goos unprotected! The Beta, the race first used in the campaign, focuses on base building through "Hubs." Hubs are small square buildings that can be placed anywhere with vision that connects to the production buildings on the sides. There are small, medium, and large hubs, each possessing the ability to connect to more and more buildings. Research buildings can also be connected and will impact any unit producing buildings on the same Hub. For example, if a Factory and a Tank Attachment are both on a Small Hub, the Factory can produce new unit types. The attachments are also used to research upgrades. While it is interesting to have a base broken up into small bits, the general strategy is still to protect the resource areas, generally leaving Beta players to clump everything together. Beta can also build walls and have units be stationed on top of said walls. This again promotes a base-clumping gameplay style and also promotes highly defensive strategies. Overall, the Beta don't feel much different in terms of playstyle compared to most of what the genre has to offer. The Human race is even more defensive, since they rely on low-health power grids for their structures. This means that bases must be in close proximity to one another. Humans are incredibly good at a turtling-style of play, but that doesn't necessarily mean that's the only viable strategy. Humans also have access to walls, which allow their units to travel and shoot through while preventing enemies from doing the same. The humans are pretty standard RTS fare, with the exception being the necessary power grid. The Goo are by far the most interesting race. I mean, there's a reason the game is named after them. The Mother Goo is the main building, and she is completely mobile. The Mother Goo acts as the resource gatherer; if you plop her on top of resources, she will collect them. The Mother Goo then creates Proteans, large or small, that can turn into units on the fly. This allows Goo players to bring some Proteans with them, and decide in the moment what those Proteans should turn into. It's an incredibly unique approach to an RTS faction, and it's no wonder that most players stick with the Goo when playing, from my experience. The Proteans, including the Mother Goo, also do damage to units when they come in contact with them. Since the Mother Goo is pretty resilient, this strategy has some serious merit to it, especially when defending from an attack. It also creates an interesting dilemma at times: do I approach with my Mother Goo who is gathering resources, or leave her be to help my economy? I will say though, watching the Mother Goo slowly blob its way over to an enemy army to devour it is really something worth watching. Unless you're the other army. 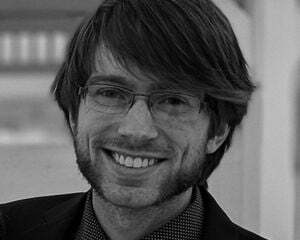 One of the most interesting things about Grey Goo is the upgrade or "tech" system in place. While playing as any race, players can use certain buildings to upgrade specific units in ways that better fit their playstyle. These are more than simple stat upgrades, but can drastically effect a way a unit is used. For example, the Bastion unit for the Goo can be upgraded to go into rampage mode when almost dead, increasing damage and then exploding. The pace of Grey Goo is slower than the APM-spamming click-fest of other games in the genre. It is also not as micromanagement heavy. It's a much more macro-focused game; players need to manage their resource input and output while simultaneously being aware of their opponents'. Grey Goo matches move along at a steady, but very manageable pace that should welcome newcomers to the genre without scaring them away with fast-paced skirmishes. It's been some time since the initial release, and the player base has dwindled to almost nothing. It's near impossible to find a match online unless it's planned out between opponents. This leaves the campaign and AI skirmishes as the only viable ways to play, which is unfortunate for an RTS. Petroglyph is paying attention, at least, since it recently put out a balance patch for Grey Goo - its first yet. 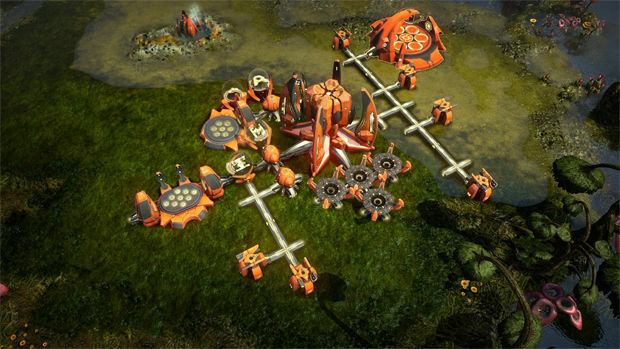 Replays, a common feature among RTS games, are completely absent from Grey Goo. In the most recent balance patch, developer Petroglyph mentions that it is working towards the feature, but the fact that the game released without a replay function boggles the mind. Replays are crucial to help players get better as a community and to help move the metagame forward. Likewise, an "observer" function allowing other players to watch matches is also absent. There is a Map Editor, which is a great addition, but hardly as crucial as the aforementioned features.